A bookend to the University's Rotunda, Cabell Hall was one of three buildings designed for the south end of the Lawn by architect Standford White of McKim, Mead & White. 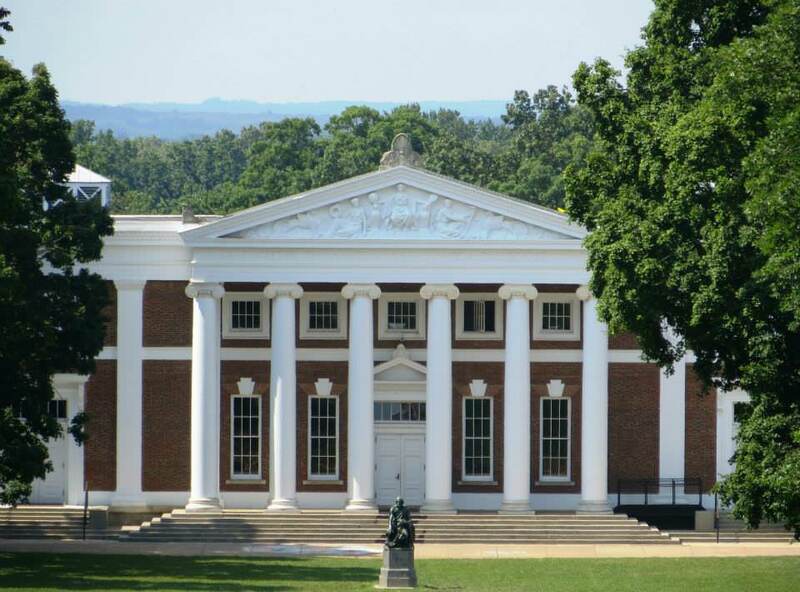 Completed and dedicated in 1898, the building was named in honor of Joseph C. Cabell, a member of both the Virginia legislature and the UVA Board of Visitors, and a steadfast ally of Mr. Jefferson as he sought to win state approval and funding for the University. 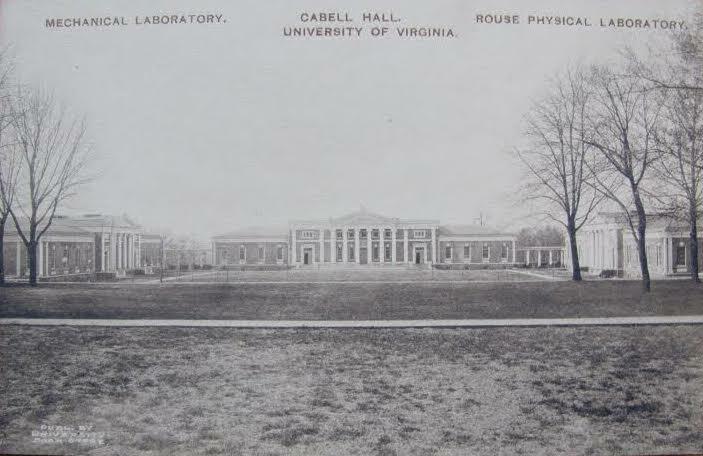 Since 1951, Cabell Hall has housed the McIntire Department of Music and the Music Library as well as the University's principal lecture and concert hall. Its auditorium has a seating capacity of 851 and hosts more than 200 public performances and events each year. Hanging above the stage inside the auditorium is a copy of Raphael's School of Athens that replaced the copy lost in the Rotunda fire of 1895. This copy was completed in 1900 by George W. Breck and presented to the University as a gift from an anonymous alumnus in 1902. The Skinner Organ in the auditorium was a gift from Andrew Carnegie in 1906 and was dedicated during a recital by Samuel Baldwin on March 18, 1907. The outside of Cabell Hall features a pediment sculpture by George J. Zolnay that was completed the same year as the building. The sculpture is an allegorical work based on John 8:23: "Ye shall know the truth, and the truth shall make you free." Directly in front of Cabell Hall stands a 1907 bronze sculpture, created by Moses J. Ezekiel, of blind Homer and his guide. View the Old Cabell Hall seating chart to see where seats are in relationship to the stage. Find directions & parking to in the area, as well as handicap parking. Old Cabell Hall Auditorium can be reserved for concerts. See Booking Rules & Fees for information on how to schedule an event. Tickets to events at Old Cabell Hall can be purchased through the Arts Box Office website. To see the latest calendar and press releases of music events, check the Concerts and Events page.